What I'm thinking about is simply an animal,any with a protective bony-like shell covering its eyes. The shell must be openable for clear vision but when closed the animal still has the ability to see through the shell with roughly good visual definition. These plates are transparent only to its own species but is not made of glass, other animals and humans see the shell completely black. Can this be done without magic ? I think this could be entirely possible. First things first, there is a somewhat similar technique already widely available in the animal world; the nictitating membrane. This is basically a third eyelid that is transparent and protects the eye while still allowing vision. What you want is pretty much a supercharged version of this, so it shouldn't be too unlikely. The biggest issue is having a strong enough bone like substance that would still be transparent (unfortunately I doubt it's possible to make a one way mirror organically) but nature to the rescue again! This is a ghost shrimp. Now shrimp aren't exactly tough, but their shells are made of a chitin like substance, so it should be entirely possible to have a tougher but still transparent version like the ghost shrimp. 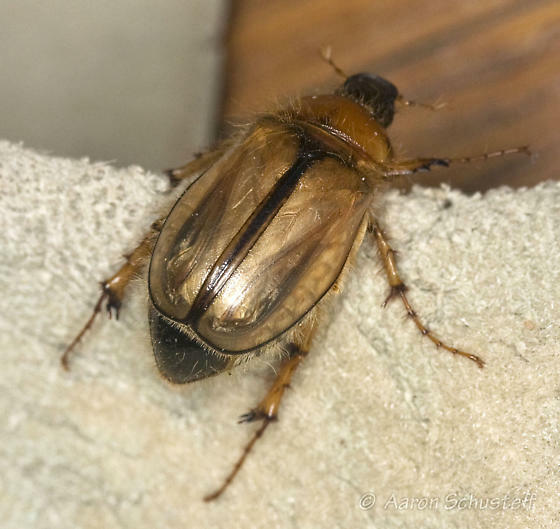 There are also insects with transparent shells like the tortoise shell beetle. So a chitin face plate is what your creature will want. The final piece of the puzzle is why. What could cause such an adaption to evolve and become commonplace? Fortunately that has an answer too. Many animals (snakes and skunks come to mind) have defence mechanisms that involve spraying their attacker with a particularly corrosive or noxious substance. This is most often aimed at the eyes as this will cause the most damage and allow the animal to escape. Now imagine your proto creature lived in an area rich in such creatures. 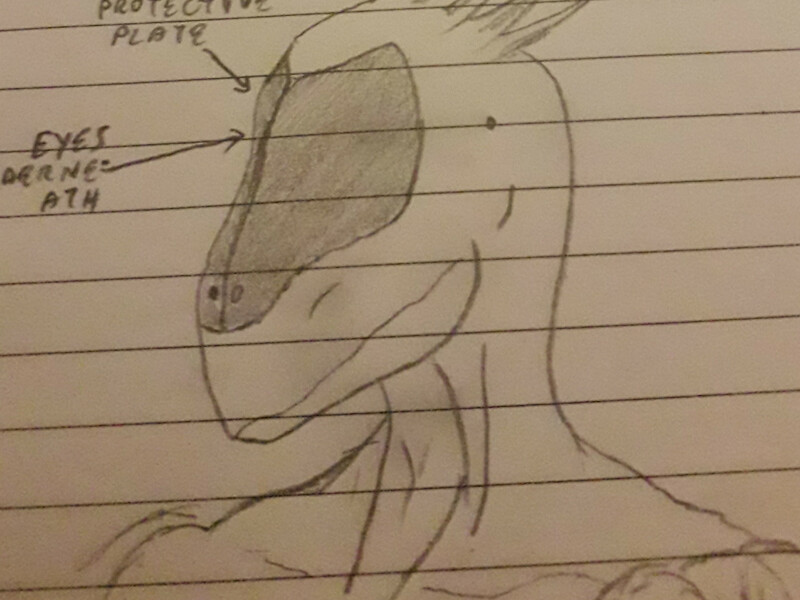 Those who could withstand the attack long enough to kill their prey would thrive and so the armoured eye plating would become commonplace and stronger. 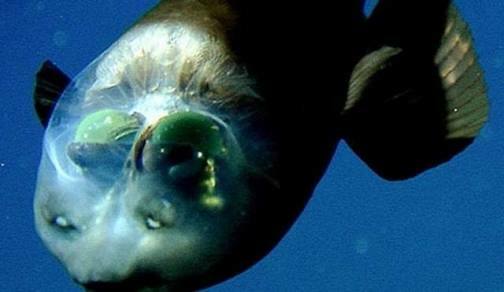 I'm thinking about barreleyes. 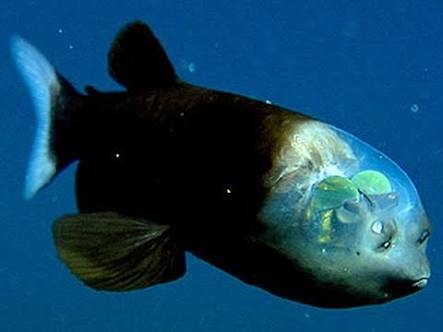 They are fish that have their eyes inside their heads. On top of that, pun non intended, their heads are transparent. Look at them. 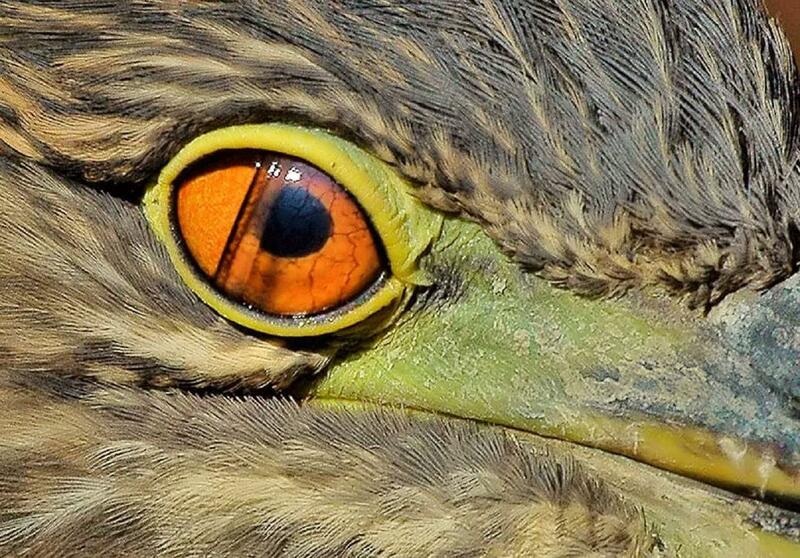 The eyes are the green domes. Yes, they are pointing up. Your creature could have flaps of soft tissue to cover its eyes. The soft tissue would be opaque for visible light, but transparent to infrared or ultraviolet. And if you think soft tissue is not good protection, just remember that bowels and stomaches don't usually get destroyed when people take a punch to the abdomen. Sharks roll their eyes when biting, and sperm whales retract their eyes (seriously!) when hunting. Your creature (or its ancestors) might have evolved the flaps so as not to go blind when doing something potentially dangerous with their faces too. That would explain why they have the flaps, rather than a permanent structure always covering their eyes. The bone needs to be somewhere when it's folded away from the eyes, and in your picture, the only way it can fold is in the middle. That completely eliminates binocular vision, and in fact creates double vision. They'd be prone to damage when open. There needs to be room on the face for the opening and closing muscles. Some scarabs have transparent elytra, if you're looking for an actual retractable mask-like structure then this might be more suitable than nictitating membranes over individual eyes. This seems to fit your drawing slightly more accurately. Not the answer you're looking for? Browse other questions tagged science-based biology creature-design evolution xenobiology or ask your own question. Given a Computer program that had self preservation and reproduction subroutines, how could it “evolve” into a self aware state? Does humanoid convergent evolution imply similar average stats? 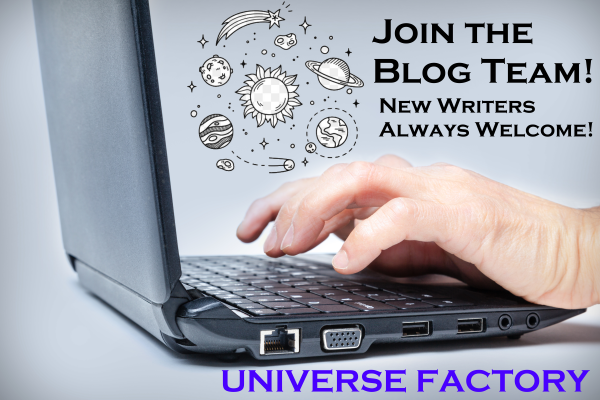 How do I explain the compound eyes of my creatures?